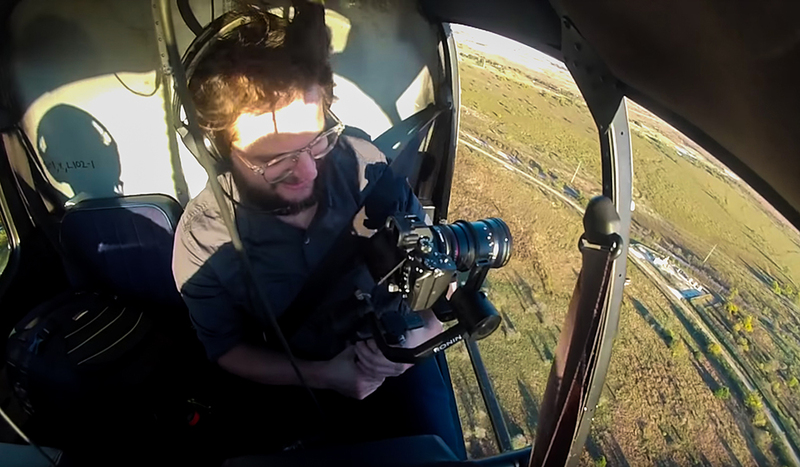 How do you decide whether to use a helicopter or a drone when you shoot your aerial footage? Let’s take a look at the pros and cons of both. 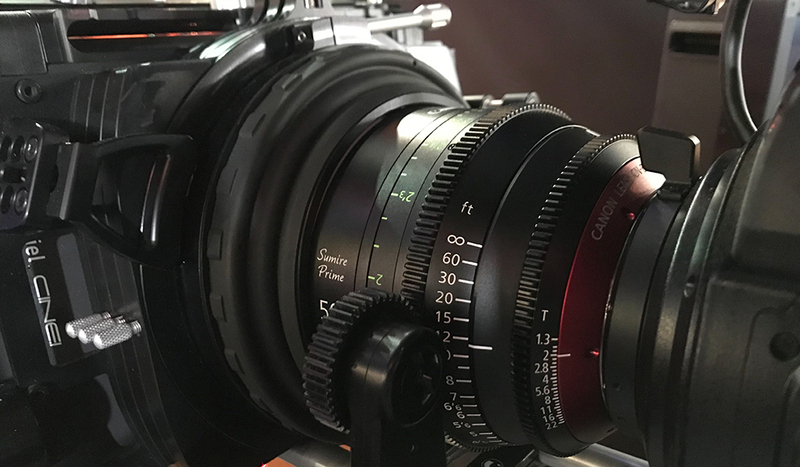 As filmmakers in 2018, the creative possibilities presented to us are both incredible and overwhelming. Kicking your story off from its initial inception begins with the question of how you’re going to film something. Even the biggest directors in the world have to consider budgets and whats actually possible to achieve with the resources available to them. These road blocks and stepping stones are nothing new, just part of filmmaking at its core. Making a film or video is always a mountain and it can sometimes seem impossible starting from the bottom. 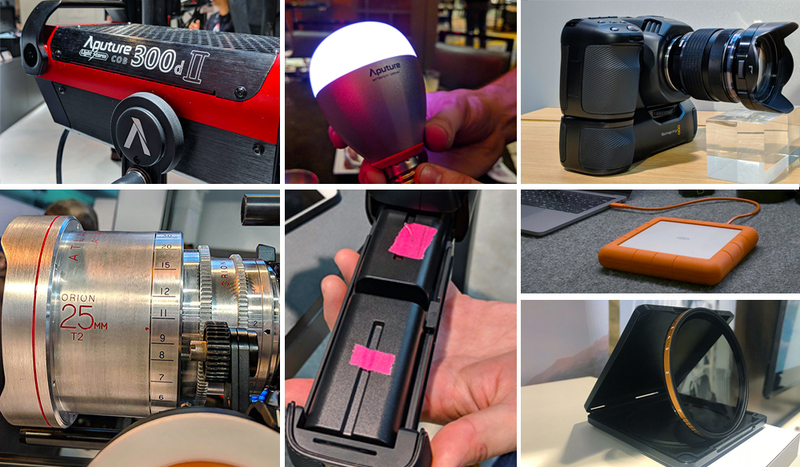 But, in recent years companies like DJI, Canon, Sony, and others have released cameras and tools to help the modern filmmaker tell stories closest to their original vision, than ever before. A prime example of this accessibility is aerial photography. When you once needed a helicopter with a giant rig and crew, you can now operate a flying camera in the air with the phone in your pocket. Cool times, yeah? Well with this ease has brought some frustrating yet necessary restrictions to the art form. Finding the right approval and areas to use a drone can be tricky, especially if you live in a city. So, we asked the question: starting from scratch, what is the easiest way to get good looking aerial footage? If you have access to a drone and a cheap helicopter flight (they can be cheaper than you’d think) which should you choose? Let’s find out. To kick this test off, we chose to use a Mavic 2 Pro vs Sony A7III mounted to a Ronin-S Gimbal. 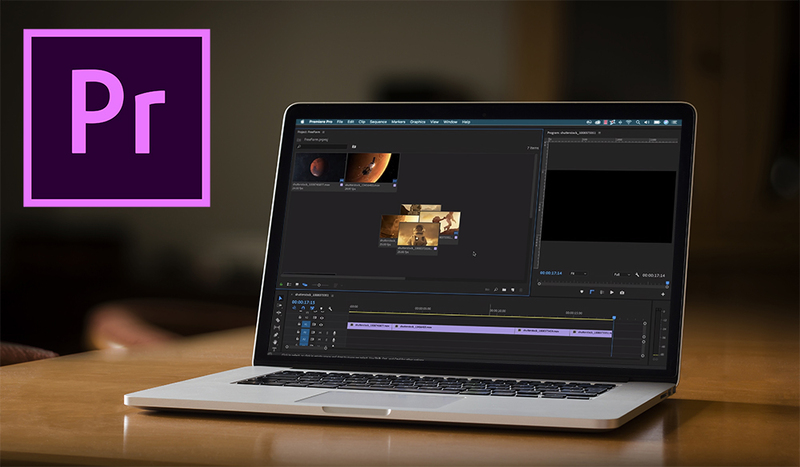 Picture quality aside, this comparison is more of a look at the ease and process of shooting your footage. 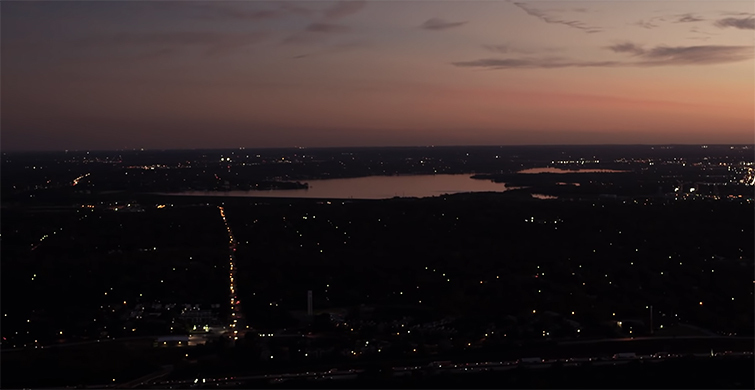 Here’s the biggest takeaway from this experiment: low-light is in your hands. What I mean is, with using a drone, you’re always going to be limited to the type of camera that’s attached to it. Luckily for us, drones are improving in their low-light performance. But, there’s still going to be noise if you’re trying to shoot at night or in the failing light hours of the day. So, when you’re shooting with the helicopter you have the freedom to use whichever camera you can. In our case, the A7III handled the low-light exceptionally well. 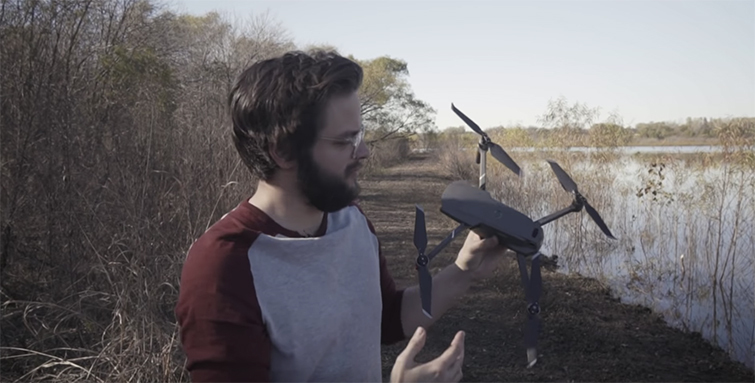 It’s no secret that flying your drone can be tricky. Whether you’re in a city, or just outside of one, take numerous precautions to operate the drone in the safest way possible. Getting approval from the FAA is one of the steps that’s required before you ever take off the ground. One of the biggest hurdles to is getting approval from airports to fly within 5 miles of their location. We recently took a look at how to get approval in a post last month, check it out here. There are always more helipads and airports than you’d think, so its best to check for them before you do anything. 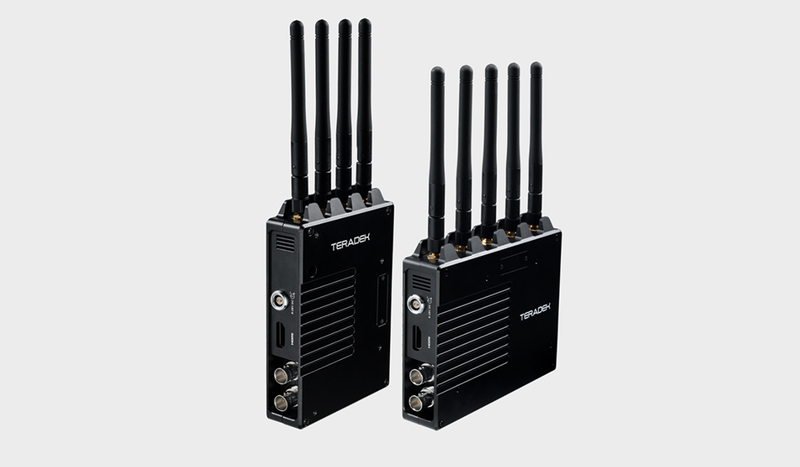 It’s always best to play it safe when it comes to anything aerial. I’m sure you already knew the answer to this question, but buying or renting a drone is significantly easier than renting a helicopter flight. But, it’s important to note that the act of renting a helicopter and flying it around a city with your camera isn’t impossible. 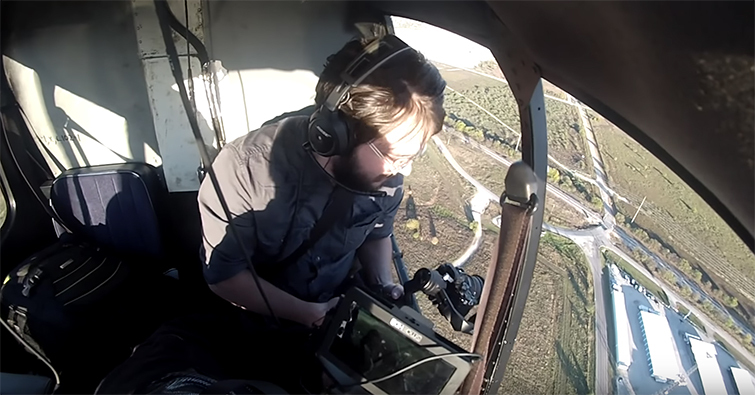 That childhood dream of hanging out the side of a flying chopper with a camera is actually something you can do…it just costs a little bit. Side Note: shooting out of the helicopter in the sky presented a few issues, like shaking. Most of the shots in the video have warp stabilizer on it. Be sure you bring a gimbal as holding handheld will yield basically unusable shots. But, live your own life. Fly your own chopper. Alright I’m done. Hope you enjoy the video and don’t forget to never give up on your dreams, like Todd.